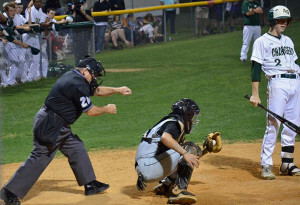 AYDEN – West Bladen’s Jeremy Hunt out dueled Ayden-Grifton’s Clay Wilson on Wednesday night as the Knights earned a spot in the second round of the N.C. High School Athletic Association’s Class 2-A baseball playoffs. Hunt scattered six hits and started a bases-loaded, inning-ending double play in the sixth as No. 22 seeded West Bladen upset the 11th-seeded Chargers, 2-0. West Bladen, 11-8, is scheduled to play at Edenton Holmes, 15-5, in the second round. The game is tentatively set for Saturday. 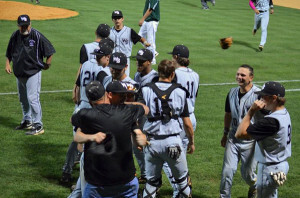 Holmes won the Northeastern Coastal Conference title and slipped past South Lenoir 1-0 on Wednesday in the opening round of the state playoffs. 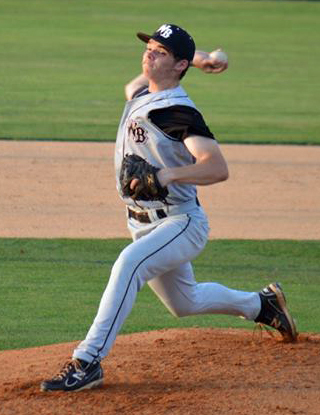 Hunt struck out eight and didn’t walk a batter in tossing the shutout. The junior right-hander threw only 99 pitches – 67 for strikes – and never had three balls on a batter. He threw a first-pitch strike to 19 of the 29 batters he faced. Wilson was equally impressive for Ayden-Grifton, which ended its season at 17-6. The junior right-hander allowed only four hits, a pair of unearned runs, struck out two, didn’t walk a batter, and threw a first-pitch strike to 21 of the 27 batters he faced. He needed only 71 pitches – 52 for strikes – in seven innings. Colby McLean, Trent West, Joseph Miller and Donald McCullum each had one hit for West Bladen. The game took less than two hours to complete, which included a 16-minute delay in the bottom of the fifth inning when the lights went out. The Knights scored their runs in the second inning without benefit of a base hit. After a ground out, McLean was hit by a pitch. West reached on a fielding error by the shortstop, and the center fielder’s throw to third in an attempt to get courtesy runner Malcolm Vaught, sailed into the Ayden-Grifton dugout, scoring for Vaught and moving West to second. Michael Pastore then reached on a wild pitch after swinging at the third strike, sending West to third. Seth Britt reached on a fielder’s choice to shortstop that scored for West as Pastore was forced out at second. Ayden-Grifton threatened in the fifth and sixth innings, but couldn’t score. In the fifth, the Chargers had runners on first and second with two outs when catcher Hunter Cannon blasted a drive to center field that Trevor Lesane caught against the fence. In the sixth, Ayden-Grifton loaded the bases with one out, but pinch-hitter Avery Cauley hit a sharp grounder back to Hunt, who threw to McLean for the force out at home, and McLean threw to Jarrett Williams at first base for the inning-ending double play. Hunt struck out the side in order in the seventh to seal the victory. West-bladen_C is the West Bladen team celebrating its victory.